Please note that the content of this book primarily consists of articles available from Wikipedia or other free sources online. Thomas d'Aquin. 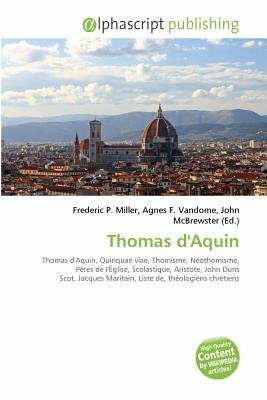 Quinquae viae, Thomisme, Neothomisme, Peres de l'Eglise, Scolastique, Aristote, John Duns Scot, Jacques Maritain, Liste de, theologiens chretiens, Philosophie chretienne, Theologie catholique.